If cyber security isn’t front-of-mind within your organization, it should be. If you’ve been lax or complacent when it comes to this critical aspect of your business, it’s probably good luck rather than good management if your company hasn’t fallen victim to cyber crime. Cyber criminals are constantly evolving their techniques when it comes to targeting businesses, and their operations are quite sophisticated. A cyber attack can be disastrous for your business. Not only can you endure financial losses, you can suffer irreparable reputational damage or end up with legal problems. In some cases, it could be enough to put you out of business entirely. According to the Ponemon Institute, in 2017 seven out of ten organizations said their security risk increased significantly. The same survey found that 54 per cent of companies experienced one or more successful attacks that compromised their data and/or IT infrastructiure. It’s expected that worldwide cybersecurity sepending will reach $96 billion this year as forward thinking companies are awake to the risk and don’t want to become a statistic. Consider putting measures in place in your organization, such as updating security protocols, installing new firewalls and antivirus software or even investing in DeskAlerts to send notifications to all employees educating them about different threat types. One of the fastest growing types of malware is mobile malware. For many people, smart phones have replaced the desktop computer or laptop and they also host a rich amount of data that appeals to cyber criminals. Many “free” apps can be problematic in that they are clones of a legitimate app or are deliberately designed to steam information. In fact, some phones have been delivered directly to customers with malware pre-installed. 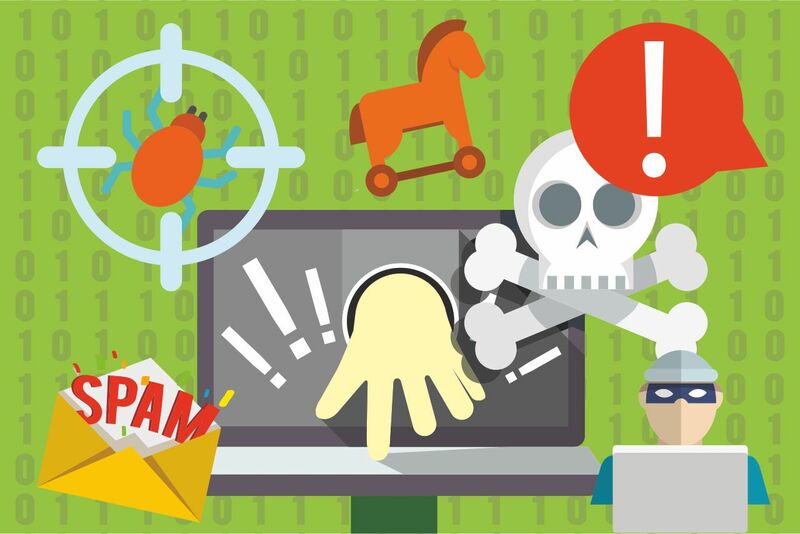 As more and more gadgets, smart devices and other equipment are connected to the internet, there are more opportunities for cyber criminals to find their way in to peoples’ workplaces and homes. Whaling is a type of phishing attack that targets high-profile employees. This can include the CEO or CFO of an organization. The goal is to trick this person into disclosing personal or corporate information. There are many ways these attacks can occur, but the pay-off for the cyber criminal is usually enormous. Cloud storage is extremely popular and is able to store massive amounts of data and host large numbers of customers. It is expected that cyber criminals will set their sites on these providers when launching ransomware attacks in the future. Cyber security experts are concerned that a rise of nation state cyber-attacks could continue to be problematic- and there have been many high profile cases of this in recent years. This type of attack involves your computer’s hardware being hijacked so that criminals can mine cryptocurrency. A popular way to do this is to target a vulnerable website and then inject a script. The result is that unprotected visitors to this site will have their computers enslaved to mine cryptocurrency.